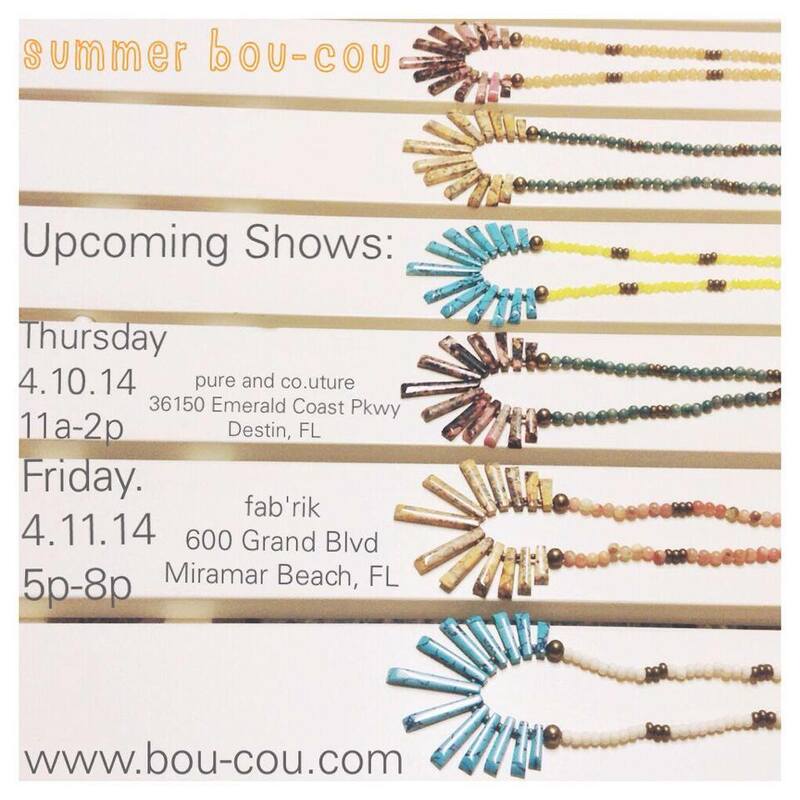 DESTIN, FL :: APRIL TRUNK SHOWS! Destin, FL! Save the date! We will be in the neighborhood next week! Stop by one of these locations and shop with us! We will have NEW SUMMER Bou Cou for you!